element14 Pty Ltd announces the launch of the Raspberry Pi camera board, part of a strong pipeline of exclusive Raspberry Pi accessories making their debut this year. 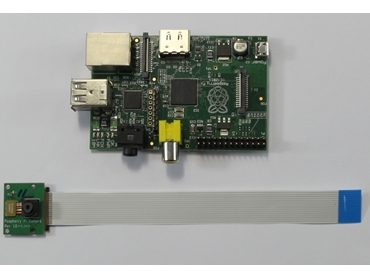 The Raspberry Pi camera board will enable pictures and video to be taken with the Raspberry Pi, which can be used for security and VoIP projects as well as image and video capture. The new camera board is available through Newark element14 and MCM in North America, Farnell element14 in Europe, CPC in the UK and Ireland and element14 in Asia Pacific. The Raspberry Pi camera board is a custom designed add-on for the Raspberry Pi, which attaches to one of the small sockets on the board’s upper surface. The dedicated CSi interface is designed especially for interfacing to cameras. According to Claire Doyle, Global Head of Raspberry Pi at element14, the camera board is the latest in a suite of accessories added to the Raspberry Pi portfolio providing customers with solutions. She also announced a global photography competition developed to commemorate the camera board’s launch. Finalists will be selected in each category, with the entries uploaded to Facebook for a public vote to select an overall winner. The competition will run from 14 May to 14 June 2013.